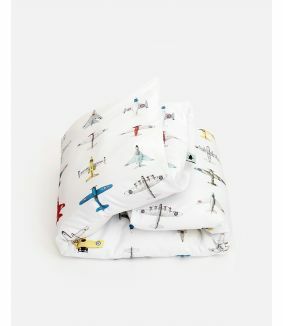 Studio Ditte duvet cover with a sky full of vintage toy airplanes. 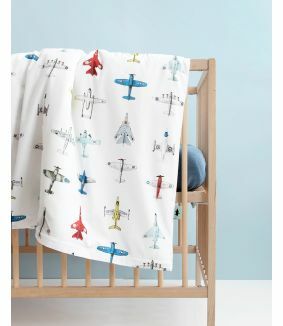 Cool bedding for the room of young adventurers. 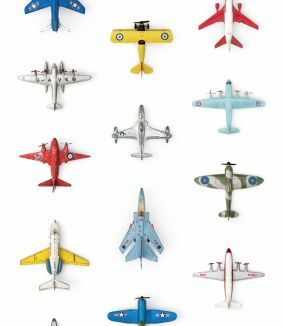 Your child boards an exciting flight to unknown destinations. The print is crisply displayed on a soft white cotton. Your child will dream wonderfully under this beautiful children's bed linen. The cover is suitable for duvet covers with a width of 120 cm and length of 150 cm. The cover has a double tuck-in flap of 30 cm across the entire width.